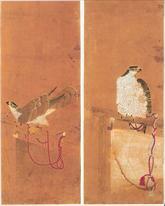 Falconry: The perched goshawks in the paintings are that have moulted in the royal palace of Josun dinasty. 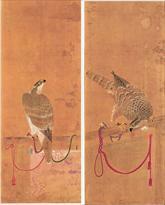 You are here: By Country | Rest of Asia | Republic of Korea | The perched goshawks in the paintings are that have moulted in the royal palace of Josun dinasty. 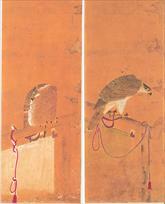 The perched goshawks in the paintings are that have moulted in the royal palace of Josun dinasty.